This week, the party set out on what Matt assured them would be a grueling, tedious journey. In truth, the journey was anything but. The tedium brought out every single one of the players’ most potent and delirious comic talents, and a surprise guest star sent the comedy rocketing sky high—and then brought it crashing back to the sort of panic and mortal terror that this campaign is known for. Previously on Critical Role, the Mighty Nein were dumbfounded by revelation after revelation of Nott’s true past. The resolved to save Nott’s husband, Yeza Brenatto, a halfling alchemist who had been kidnapped by Kryn soldiers in the recent Xhorhasian attack on Felderwin. The Mighty Nein descended into the gaping tunnels left by—what they assumed to be—the Kryn’s war worms. This week, the party began a long, lightless journey through hundreds of miles of monotonous tunnels. They encountered a few enemies—ropers—but ultimately their journey was day after day of tedium. After several days, they stumbled right into a camp of kobolds! They tried to overawe the kobolds, Return of the Jedi-style, but eventually managed to avoid combat by bartering away “valuable” items. That night, though, they were pursued by a particularly un-stealthy kobold. The party could hear the clanking animal cages and pouches strapped to his pack a mile away, and set up an ambush of their own. They subdued their hapless attacker, and learned that his name was Spurt, a kobold inventor—and that he was actually the guest character of Chris Perkins! The party agreed to let Spurt join them for a time, but his tenure as a member of the Mighty Nein was short-lived. Only a short time later, they came across a mighty fire giant citadel… and Spurt was instantly spotted and instantly smashed by one of the guards. The tiny kobold suffered massive damage and was killed in a single blow, leaving little more than a gory smear on the ground. Chris stood up, clearly quite pleased with himself, and cheerfully departed from the table, to everyone’s uproarious laughter. Spurt was gone… and very quickly forgotten. The Mighty Nein had a more pressing matter to attend to: the citadel of the fire giants stood between them and their goal. Such foes were clearly beyond them. Using their various magical abilities, they turned themselves invisible and tried to create a distraction to draw the guards’ attention—but things didn’t go according to plan. Initiative was rolled, Nott tumbled into a river of lava, and unchecked chaos ensued. Left on this cliffhanger, Matt informed us that Critical Role would be taking next Thursday off, forcing us to wait two whole weeks to see how this madcap crisis would turn out! Introducing new characters to a D&D party is hard, especially when the party has an established dynamic and your players have all been playing together for three, ten, twenty, maybe even fifty or more sessions. This section also applies to introducing new long-term party members, but it’s especially crucial when introducing a guest player that will only be around for a single game. The most common challenge when introducing a guest party member is how to make this whole contrived situation believable. If you’re a group of three-to-six highly armed adventurers living in a world brimming with doppelgangers, evil wizards who can cast alter self, and dragons who can cast polymorph, you honestly have no reason to trust a newcomer, let alone welcome them into your adventuring party at the drop of the hat. This situation gets even thornier if the character is, say, a kobold. Why the guest character would want to join the party. Why the party members would accept this guest. If one party member is particularly suspicious, that character’s player should help brainstorm ways their fellow party members can convince them to accept the guest. If you can nail these three points down, you should be okay. The goal of this quick chat—and it should really only take about 15 minutes!—is to minimize the chaos and in-character handwringing. If you start play and get to a moment where one party member starts hemming and hawing over accepting the guest, just look back at what you all talked about earlier. When the guest shows up, just accept them into the party instantly. This is the sort of “beer & pretzels” approach to casual D&D where you automatically accept that the fiction of the game serves one purpose: to get you and your friends together to play a game. But even a group that loves roleplaying and telling stories can get behind this. The Critical Role folks did. The goal of coming to a D&D game is to play the game, not stymie the other players—even if that means letting your characters’ suspicions be assuaged unrealistically quickly. My apologies if this “solution” seem a bit flip. But in this situation, we all know that our friend is gonna join the party in the end. There’s no narrative interest or fun tension in prolonging the issue. So just cut the Gordian knot and skip all the pretense. That said, I think we could even go further than the Critical Role cast does. Related to the issue of verisimilitude is when you introduce the guest character. 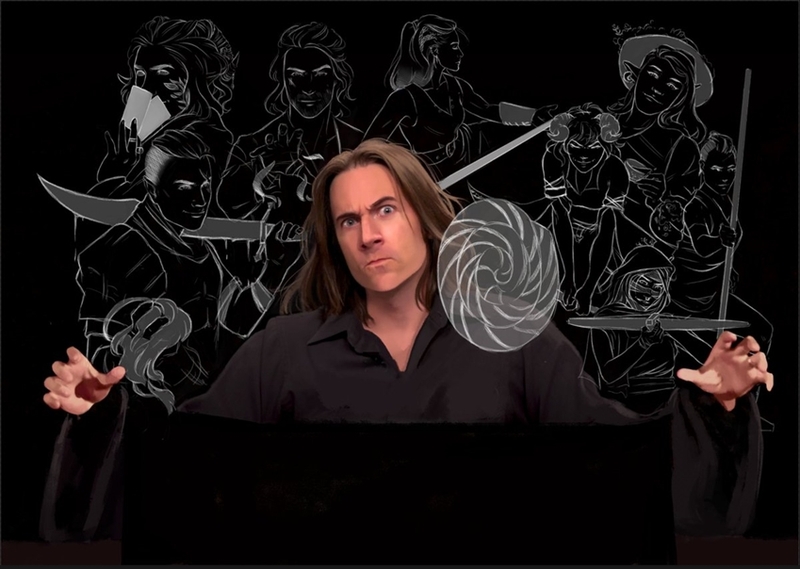 Matt Mercer has a habit of introducing guest characters in the last third of an episode because he needs to wait for a time it makes sense for the character to appear. I respect that. But it also frustrates me, because I’ve been in a situation like this: invited to be a guest character at a friend’s (not streamed) home game, and I had to wait three hours on the side of the table before my character showed up. I just wanted to play some D&D! And frankly, my other friends just wanted to play D&D with me, too. It was awkward for everyone that I just sat on the sidelines for so long. This happened with Spurt the kobold in this week’s episode, but it was hardly an issue because of (spoiler). But this isn’t the first time this has happened. I think the most egregious example of this occurred with Noelle Stevenson’s character in Campaign 1, the werebear Tova. In that example, Vox Machina found her as a prisoner and freed her; a perfectly good motivation for her to join the party for a time! The only issue was that the party didn’t start in prison, they started wandering the streets of a city. And then they went to a bar. And haggled a contract for an hour. It was practically the end of the session that they actually found Tova. Fortunately, Noelle was able to come back the next week and show off her character and her story, but not everyone is that fortunate. 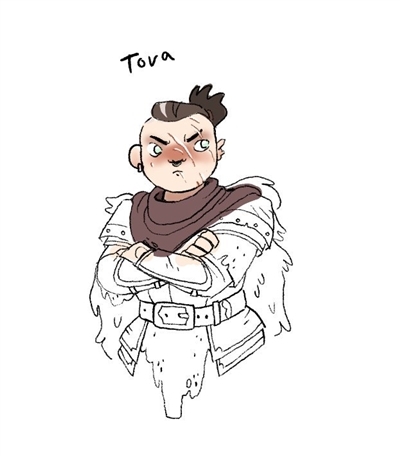 With a little tweaking, Tova could have easily been a patron in the bar Vox Machina visited. She could have been an escaped prisoner with a vendetta against the pit fiend that imprisoned her, giving her essentially the same motivation as before, but this time allowing her to join the party much earlier in the session. In the grand scheme of things, this isn’t a huge problem. It’s a minor quibble I have with what is otherwise an amazing D&D series. But I think you can learn from this, and make your own home games better as a result. If you sit down with your fellow gamers to hash out the details of the guest character before the session begins, you can save everyone a lot of heartache and awkwardness during the game itself. What lessons can we learn from Matthew Mercer and the Mighty Nein next week (after a week's hiatus)? Is it next Thursday yet? I believe this was Episode 50, actually. Edit: Also, great article! Big fan of these new formats for the Crit Role content, and talking about all the features/bits of DnD they come across. As a viewer, I just kind of assumed that Perkins was hanging around the studio during filming, and some time during the break Matt asked if he wanted a cameo. If you go with the "Beer & Pretzels" approach, it's worth emphasising that it's not just the job of the party to welcome the guest, it's equally the job of the guest to make themselves welcome-able, so as not to put all the work on the regulars. There are fewer things more awkward than "Hi! I'm Edgy McEdgerson, I talk in monosyllables and don't trust anybody! Convince me to come on an adventure with you!" If your guest player wants to main Reaper, you'll probably have to work harder on finding a way to force them into going along with the group. A really good example of how to handle a guest character was Deborah Ann Woll's appearance on CR, because it was essentially a one-shot inserted into the campaign. This isn't always possible for them to do because they're often deep in an arc that can't be interrupted, but seeing as most of us aren't running a highly popular web-series, throwing together a "very special episode" that is tangential to, or entirely disconnected from your campaign isn't the worst way to handle that one friend who wants to show up for one session to see what it's like. This is also useful info for players introducing replacement characters. My last main session, two characters full on died. Next session, the party will be able to revive one of them. Fortunately, the characters they've rolled as possible replacements are easy to introduce right away. They're at a cabin, owned by a family of cult murderers, with a cage filled with hostages. That tiefling paladin? An unconscious prisoner. That warforged warlock? Now a center-point in the murder-family's shrine, their killings ritual attempts at bringing it to life in their service. I disagree about the "talk to your players first" part. it is not up to the DM to make a believable character that will please the players. its up to the players to make themselves believable enough for the group to accept. as a DM i ask my players to give me some background and some information, then i add up this information and create my own then once me and the new comer are ok with it. we're ready to play. but the other players aren't in the know, they will meet the charcater as time goes by and that player will have to act and make the other players believe what it says. otherwise your game is not belieble. in real life you wouldn't explain to others what you are in advance for them to accept you on the spot. in real life the first encounter will give you the same problems. that i explain to all my players before a game or before the whole campaign. its not up to the DM to decide how the characters should react to a new NPC or a new player. its up to the players role play to decide that. one of the big deals of what makes a DM hard to play and why most people do not want to DM. is how big the job is... but delegating most of your job to the player is what makes it much more satisfying. after all its a group effort, not a DM talk and players reacts. your job as a DM is to make the game fun for everyone, as players their job is to live in that world. living includes meeting other people. thus its not your job to set the next player by asking the others to find a way to accept him. exemple... my group just started a new campaign, we're int he future of my medieval world and are playing kind of a far-west type setting. creatures like orcs and dragonborns are rarely considered now, racism to its maximum, most of the creatures are considered slaves. halfling and elves are high and mighty with magics while humans, dwarves and gnomes have literally built the machinery known as trains and steam engines. in my group... most of the players have created monsters races characters. they knew full well what would happen, yet they did. and one of my player fear fiends, like she wants to kill them on occasion. 2 days later another player tell me, he'd like to play a tiefling ! i was like oh my god, you will be killed on the spot. he said why, i said another player will just kill you, he hates fiends and put tiefling on the same rock. he said, "its gonna be up to me to convince her that i am different !" and that my firends is the spirit of a true believable game. because in real life this is exactly true of everything. lo an behold after 4 sessions she has stolen his weapons, stolen his bullets, challenged him to a drinking contest while she is immune to poison from alcool. and ignored him for quite a while. but he is still alive and well. he is starting to hate her, but his character is used to swallow his pride in order to work to get money. and last session... they finally had a big talk, character to character and they finally revealed themselves during that heated moment. all of this wasn't scripted in anyway, this was entirely the players doing and even i the DM didn't knw this would of happened, not even the players themselves had anticipated this. in fact the tiefling player expected himself to die sooner then later. and the yuan-ti player expected herself to kill him as soon as she saw him even just a little scarry and brutal. but thats the point... the yuan-ti player, never saw the trigger. she even pulled cons on him to make him do a mistake. and it never came, thus the player started changing her mind a little and slowly, very slowly... both players have started to get accustomed to each others. if you want immersion in your game, you have to be as close to reality as it comes. dont start telling your players to accept said and said characters in advance. let them role play the first encounter. as a DM its up to you to role play the NPCs, but it is not your job to role play the characters. you can explain the basics, you can explain the world and a bit of the group to the new player. for him to make a character with some goals related to the group. but its not your job as a DM to make sure they all fit together, thats the job of the players. just like in real life when you meet a group you want in for the first time. the other players didn't know anything about tova, they had to learn about it on the spot. they could of easily killed her when she was on the table. the nothic in the last arc of vox machina, could of been a great NPC, a merchant. he could of been a great player character as well. alas we will never know because a player decided to shoot first. its not up to you as a DM to arrange the game for players. its their plays, their reactions. you shouldn't remove that from them by telling them in advance that another player is coming, even more in a one shot they don't know an invited guess is coming. one of my friday night game called me, he was distressed and needed a good game of D&D to get away from his downs at the job and all. i had a game that wednesday night. but it wasn't my game per say, yes i was the DM but it was for a friend. it was his idea and we were at his home. so i asked, is it ok if a friend joins just this game tonight. and i told my friend, he never called before, let alone ask me if i had a game, any game he could join for a one shot. i said somethings up with him. and that friend said "sure, call him back, let's see what he's capable of !" thats all the others knew about him... once he arrived i discussed with him his charcater and as soon as i said they are level 9. he said "oh snap, can i play my gnome druid then !" i said, seriously... the one you had in my friday night game beore he vanished. SURE !!!! how they met him, well they fought in the feywild a bunch of redcaps. those are gnomes, then the perception checks were called and the barbarian spotted one of them gnomes in the bushes further away. the barbarian atttacked the druid even though he looked nothing like the redcap. made for great role play when the druid froze the barbarian and told him he had nothing to dow ith those redcap bastards. lots of fun ensued, lots of fun twist and turns from the players who didn't trust the little gnome. yet he walked with them for quite a while. its not up to you the DM to decide how the players should act together, thats for the group to decide on their own. new comers shouldn't feel welcome by the characters, he should feel welcome by the players, and just like in real life when he was first introduced to the players, he should first introduce his character to the group. that is immersion. your job as a DM is to make a believeable world to your players, weave stories for them to have twist and turns and incredible journey into their D&D lives. their job as players is to live in that world and acts their characters. remember that and stop taking the whole game on your shoulders. its a group game, not your game. leave the jobs to the players and keep only what you need to do. you are not the father/mother of a bunch of kid at the table. you are their equal, not their superior. give them fun, they will give it back in return. even if their fun is to kill everything in sight. 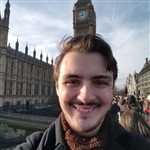 i have used some methods for temporary characters, such as those where the player is trying out D&D or just wanted in for one game session. The "part of X's backstory" ploy was the easiest - one of the players came from a village/ship/city guard/whatever and associated with them then. Not a best friend or anything, but they'd crossed paths way back then. The part of X's organization was used too - in the case of one PC being part of an organization of spies and agents (in this case Harpers) - the new guy had all the right signs and countersigns. Finally there was the "child left behind" - one of the PCs had a character who was an old war veteran, supposedly fought in wars decades past, and the new PC was their child who had sought them out. That's exactly what happened, according to Chris. Great article. I know it was played for laughs but I was kind of disappointed at how Kobolds were handled in this episode and by 5e in general. Having a penalty to their strength is not required because, since standard humans are the baseline, the lack of a bonus to strength acts as a penalty anyway. I see no reason for them to be weaker than Gnomes or Halflings. I wasn't expecting Tucker's Kobolds or anything ridiculous but they should be smarter and super stealthy considering the hostile environments they live in. At the very least give them all the ability to fly like Aarakocra and/or a +1 bonus to AC or something more.. He made himself a changeling sorcerer and showed up looking looking like one of the absent players(I gave him only a visual descriptor and accent). I helped the charade by privately asking the player if he could publicly give permission for another player to control his dude explaining to him why and he was happy to play along. His cover story was he'd run into a scary monster and ran away. The character he was pretending to be is completely fearless and runs into danger no matter how deadly. Needless to say the party didn't buy it and all I could do was mute my microphone and giggle. It took them 2 days of travel constantly testing him before things came to blows. he triggered it by dropping a darkness spell. The'd taken his arcane focus the day before so he lost a lot of spells but he had regeneration and hey had no way to negate it so the fight was a draw. They teamed up to a mutual goal and worked well together for several sessions when he fireballed the target of his wrath while they were right next to 2 of the party members. Ahh via Twitter, thank you. That was the missing info. ...and trauma. so much trauma.